Social transitions and transformations have a class nature. Different segments of society often act as obstacles or promoters of change guided by their collective interests. 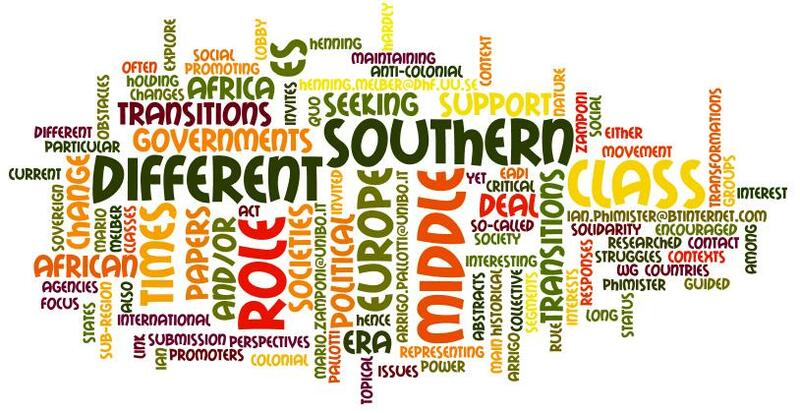 In the context of (Southern) African societies, the role of the so-called middle classes both in maintaining a status quo and/or in promoting social and political changes at different times in different contexts is among the interesting but yet hardly researched topical issues. 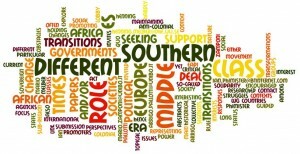 The EADI WG on “Europe and Transitions in (Southern) Africa” hence invites the submission of abstracts, which focuses on the role of such middle class(es) at different times and in different countries in the sub-region. Papers seeking to also explore the link with agencies in Europe (be it support of governments or lobby groups to those holding power or support of an international solidarity movement to those seeking change) are encouraged. Papers are invited to deal with any particular era. They can either deal with the colonial times, the anti-colonial struggles and/or responses to them, or the era under political rule of governments representing sovereign states, as long as the main interest is on the role of the middle class(es). The emergence of new global players is not only affecting the economic and political domain in Africa but is also influencing its educational landscape. This panel considers the ways in which the appearance of for instance Turkish private schools and madrasas, Korean educational projects, scholarships for Malaysia, China, or Brazil, is contributing to an increased multiformity of educational opportunities for Africans and what this means in terms of social orientation in African societies. Acknowledging that education has been an instrument in the hands of competing powers and a battlefield where representatives of different world views have opposed each other since colonial times, the panel aims to explore continuities and changes in terms of strategies, dynamics and effects in African society in the current polycentric era. In particular the emerging middle classes may be interested in opportunities for educational advancement. 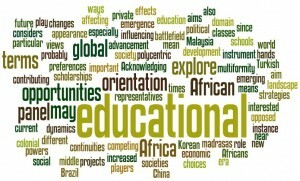 As they most probably will play an important role in Africa’s development in the near future, we aim to especially explore what their educational preferences and choices are, and what this may mean for their global orientation.